WOODSTOCK—The annual Vermont Forest Festival was held this past weekend, Sept. 24-25, at Marsh-Billings-Rockefeller National Historical Park and Billings Farm in Woodstock, Vt. Working farms and forests give Vermont its beautiful rural character and unique sense of place while serving as an important part of the economy for many communities throughout the state. Vendors, demonstrations, and activities offered visitors a unique opportunity to see a slice of Vermont’s farm and forest lifestyle. Visitors watched various forms of live lathe-turning techniques and woodcarving out on the farm grounds. 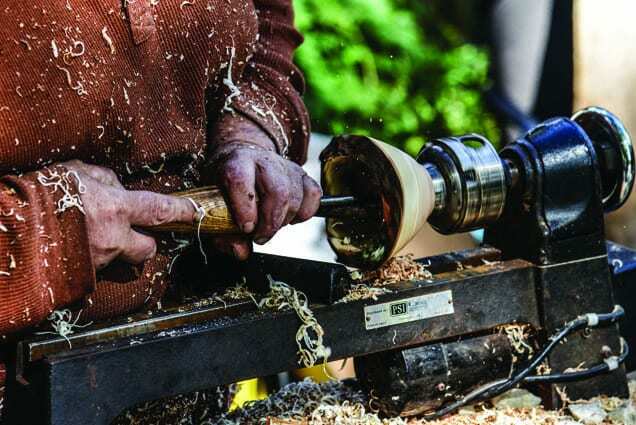 Two woodcarvers demonstrate carving and widdling at the Vermont Forest Festival held Sept. 24-25.